The Huawei Mate 20 and Mate 20 Pro are now available in stores nationwide! The handsets feature Kirin 980 processors, triple Leica cameras. Today’s the day! 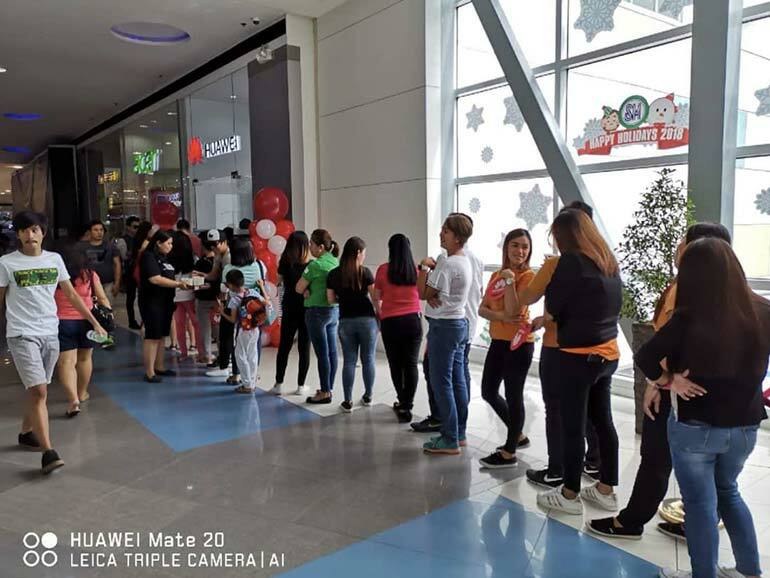 Both the Huawei Mate 20 and Mate 20 Pro are now available in stores across the Philippines. Those who pre-ordered can now claim their devices. For the rest of us, just go to any Huawei Concept store near you. 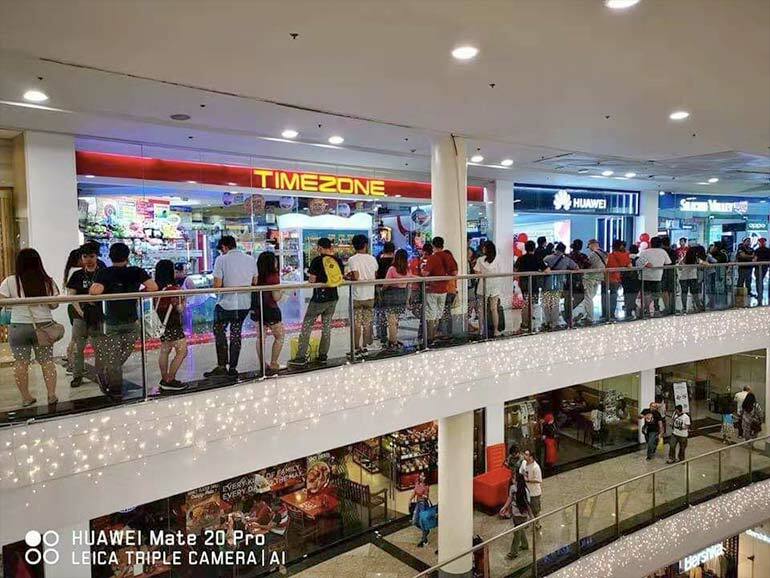 From November 3 to 16, 2018, Huawei PH has a promo for the Mate 20 and the Mate 20 Pro. During the promo period, the units will come with freebies. 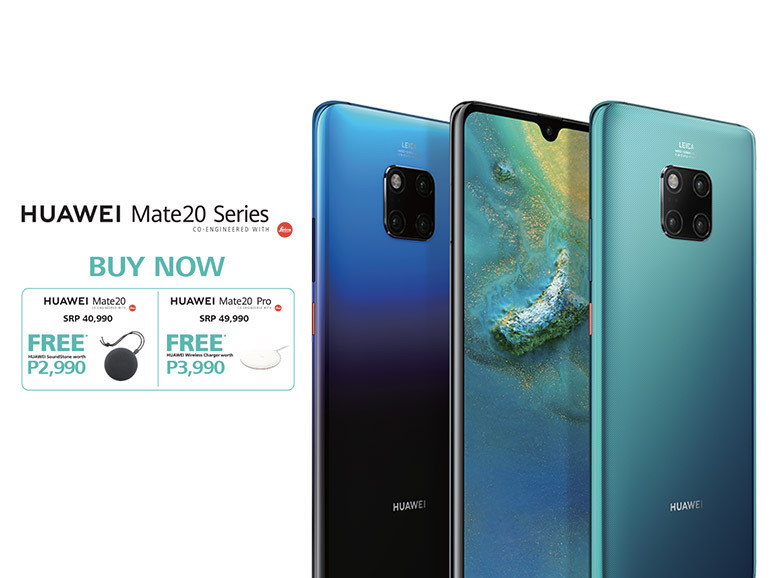 The Mate 20, priced at PHP40,990, will come with a free Huawei Bluetooth Speaker. While the Mate 20 Pro, priced at PHP49,990, will include a Huawei Wireless Charger. For more details about the promo (including the list of participating branches), you may visit their page HERE. Today was a huge success for the Mate 20 and Mate 20 Pro. The flagships were met with long lines of eager fans! 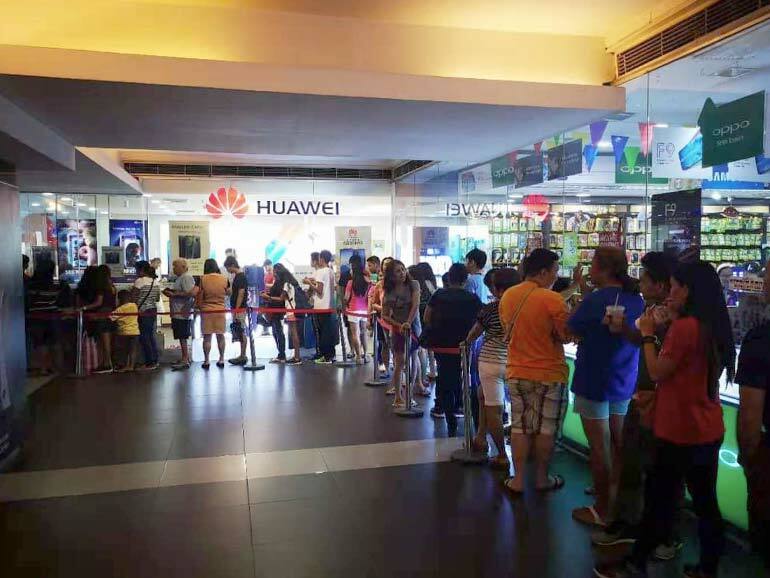 Just check out these photos from the Huawei Experience Centers in Glorietta, SM Cebu, and SM Davao. By the way, you can tap the photos to enlarge. Available starting today, the Huawei Mate 20 has a 6.53-inch display with a dew drop notch, a 4,000 mAh battery, and 12MP + 16MP + 8MP triple cameras. The Mate 20 Pro, on the other hand, comes with a smaller 6.39-inch OLED display, a wider notch, a 4,200 mAh battery, and 40MP + 20MP + 8MP triple cameras. What makes this a “pro” variant is that it includes 3D face recognition, an in-display fingerprint scanner, a 15W wireless charging support, and reverse wireless charging. Both the Huawei Mate 20 and the Mate 20 Pro feature the new Kirin 980 chipset with dual NPUs, 6GB RAM, 128GB storage, and support for the 40W SuperCharge technologies.